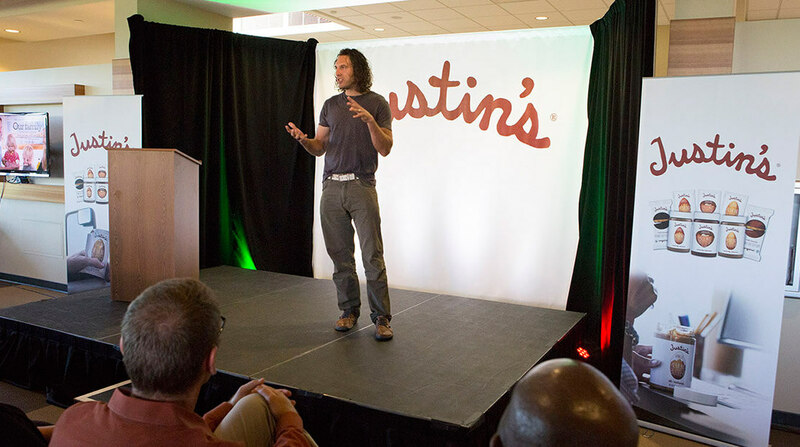 You can’t put the cart before the horse, or for Justin Gold, the founder and director of mission of nut butter brand Justin’s, perhaps it’s the cashew before the almond. At this year’s Natural Products Expo West, Gold sat down with Project NOSH editor Carol Ortenberg to talk about the company’s product growth since the brand was acquired by CPG leader, Hormel. In the roughly two years since the deal, Justin’s has been rather quiet on the innovation front. According to Gold, a period of “renovation” of the current product line had to happen before “innovation” around new products could occur. “Sometimes, your product doesn’t move as fast as your organization,” Gold said. Gold also explained how the nut butter category has changed over the past decade, and elaborated on how the brand plans to transition into a platform of products throughout center store.